If you haven’t compared car insurance quotes in a while you could be overpaying for your auto coverage right at this moment. The insurance market is constantly changing, prices are raised and dropped once every few months, and a company that has offered you a killer deal two years ago might have sloppy rates these days. Here are some of the top reasons why you may be overpaying for your car insurance. Renewing your policy year after year with the same carrier isn’t always a good idea. Start shopping around with this checklist one month before the current policy is due and see if your current provider still offers competitive rates. Most, if not all insurance carriers offer a wide range of discounts. You can save a small fortune if you have a good driving record, are a member of certain clubs or drive a safe car. Ask your provider about the discounts they offer and you might be amazed. Even a series of minor traffic violations – like two or three speeding tickets over a short period of time – can make your premium go through the roof. More serious convictions, like driving while intoxicated or others that lead to a SR22 requirement, will make your premium go up by as much as 1,000%. If you want your insurance company to take care of minor scratches or dints that you can cover with a few hundred dollars then your premium will be consistently higher than average. Most people choose a deductible between $500 and $1,000. Very young drivers pay two to three times more for the liability insurance than those in their forties. Teenage drivers account for almost one third of the traffic accidents across the country, therefore they are considered highly risky and billed accordingly. Rates will get down to a reasonable level once you turn 25 provided, of course, that you have a good driving record. Insurance companies also tend to charge more once you are over 55 or 60. 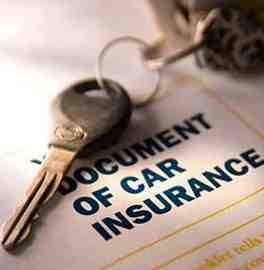 If you drive an old car it would probably make sense to drop all coverage on top of the mandatory liability insurance. It may be that comprehensive or collision coverage costs more than the car is worth. Similarly, if you only use your car on weekends to drive to the local mall then it wouldn’t make sense to pay for towing or rental insurance. Most insurance companies will look up your FICO score before the underwriter decides how much to charge you. A poor credit rating puts you in an unfavorable light – if you aren’t responsible enough to pay for your bills then you are probably not that good of a driver either or you will miss your insurance payments as well. There are ways you can improve your credit score – just do it!